We’re continuing to revolutionize the denture process: introducing the new 2.0 digital workflow. The Pala Digital Dentures 2.0 workflow incorporates 3D scanning, design and printing technologies with your preferred fabrication techniques. The result is increased efficiency and cost savings for the laboratory, and dentures that look natural and fit perfectly for the patient. Utilize Kulzer equipment to easily scan, design and create patient try-ins. Kulzer’s team of experts can also assist with designing and prototyping. When it’s time to process the final denture, your team has full independence and control. A wide range of economy and premium options ensure you’ll get consistent, precise results every time— whether you opt for a fully printed denture, or more traditional methods. You design your workflow of choice as a partner lab! Powered by cara© Print 4.0 and dima© Print materials. Beautiful, perfectly fitted dentures in under two hours. With all of the advances in printing technology, it's becoming more and more difficult to tell the difference between a fully printed and traditionally processed denture. Available as a set or in refills, the Pala cre-active light-curing color fluid system offers 12 colors in various consistencies. The cre-active system is universally manageable due to the structural viscosity of the liquid stains, and can be used to induvidualize conventional, digital and hybrid dentures. Learn about all dima Print materials. Save time and money by scanning conventional impressions and models. Reducing margin inaccuracies will help reduce chair time for the patient. Easy-to-use, high performance dual-axis compact scanner that can scan both models and impressions. Pala Digital Denture Impression Trays - allows for a single visit for capturing imrpessions, vertical dimension and centric relations. Flexitime Fast & Scan - Ready to scan impression material. No need for extra powders or sprays. Direct digital scanning allows for more precise scans and time savings. Our natural gypsum and wax products provides value, performance, quality and consistent results you can count on. CAD design can be easier than you think with the right software. We encourage you to design your own dentures using our Pala Design Studio. For additional support, the Kulzer Design Team can work from your scanned, digitized files to create the STL files needed for printing a prototype. Pala Design Studio - Web-based denture CAD design software. Design a case in 10 minutes and have the final STL file rendered in under and hour. 3Shape ® - If you are already using 3Shape software, purchase the Kulzer Tooth Library to print Pala denture teeth. 3D printed prototypes are faster to create and more accurate. The Pala Digital Denture workflow gives you the flexiblity to create a prototype that fits your needs. For additional support, Kulzer can then use your open STL files to produce a prototype for you, using any of the methods listed below. 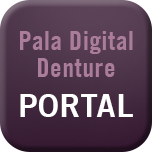 Visit www.PalaDigitalDentures.com to submit a case. cara Print 4.0 - A 3D DLP printer developed for dental professionals. More cost-effective than most 3D printers and prints restorations on one hour or less. Signum HiLite - The light-curing unit with a user-friendly design, reliable and strong flashlamp. Includes three light-curing times: 6, 90 and 180 seconds. dima Print Materials - Light-curing monomerics liquids specially optimized for 3D printing and the requirements of dental applications. All dima Print materials indicated for intraoral use have been FDA-cleared. *If you require a tooth cutting jig for final setup, all design must be done by the Kulzer Design Team. Use dima Print Denture Base Try-in to print an all-white prototype in under an hour. Use dima Print Denture Base and Mondial or Mondial i teeth waxed in sockets. Use dima Print Denture Base and denture Teeth shades. All dima Print materials indicated for intraoral use are FDA-cleared. No tooth jig required. Print complete, high quality final dentures quickly, accurately, and economically with the cara Print 4.0 3D DLP printer and FDA approved dima Print materials. Traditional processing methods can also be used if desired. cara Print 4.0 - A 3D DLP printer developed for dental professionals. More cost-effective than most 3D printers and prints restorations in one hour or less. Signum HiLite - The light-curing unti with a user-friendlty design, reliable and strong flashlamp. Includes three light-curing times: 6, 90 and 180 seconds. Use dima Print Denture Base and Denture Teeth materials to create fully printed dentures. If printed on the cara Print 4.0, a final printed denture can be finished in 2 hours or less. No tooth jig required. Includes the precise fit of a printed denture base and the esthetics of conventioinal acrylic teeth with our Mondial and Artic Teeth lines. Get the precision fit from digital processing and the premium esthetics of traditional dentures using pala materials. Personalize your denture with Pala cre-active for custom denture characterization! The Pala Tray System enables you to capture the impression, vertical dimension and centric relations in the same patient visit. The digital-ready trays come in four sizes: small (white), medium (lilac), large (dark purple) and x-large (green). Upper and lower trays can be mixed and matched to suit the patient's mouth size. Impression Manual - Learn more about taking impressions with the Pala Digital Tray System. Create an account to submit a case, download resources and more! Learn More, Earn CE - Free!